The Travelin' Librarian Tech Ever wonder what YouTube thinks of your ISP? Ever wonder what YouTube thinks of your ISP? The other night I was experiencing issues with playing a YouTube video (terminal buffering) and a link appeared beneath the video offering me an “explaination” for why I was having trouble. 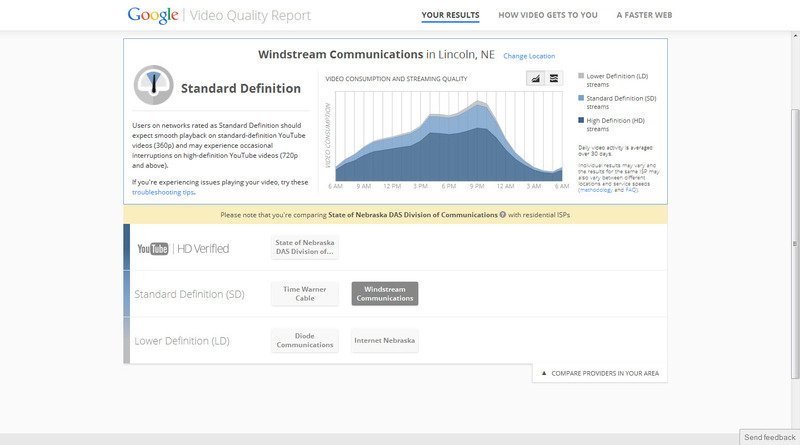 That link took me to the Google Video Quality Report. I’m guessing it’s been around for a while but this is the first I’ve run into it. Basically you’re told how well your ISP handles the various quality levels of YouTube videos along with info on traffic levels throughout the day. 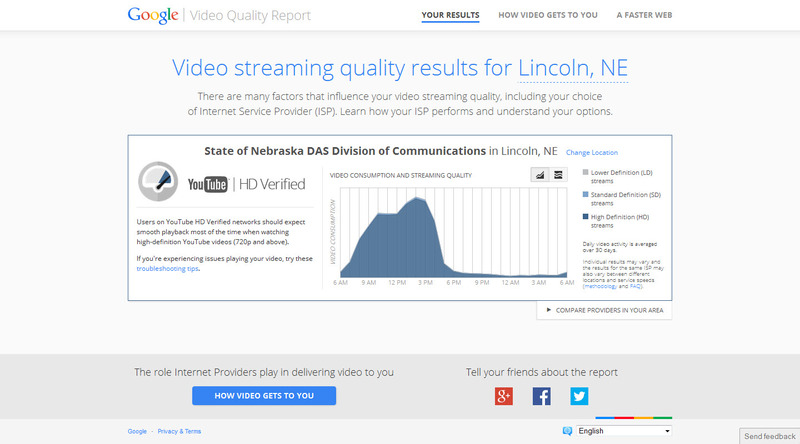 It looks like YouTube watching by Nebraska state employees peaks about 2pm, where residents of Lincoln peak about 9pm. Makes sense to me. Previous Previous post: What can we learn from 800,000 public comments on the FCC’s net neutrality plan?